The years between World War II and the Vietnam War saw the rise of a sleek, forward-looking style of architecture known simply as “Modern.” All types of buildings were constructed in this style: high-rise offices, medical clinics, motels, apartments, and of course, houses. Modern’s hallmarks are large expanses of glass, stark geometric forms, unadorned panel surfaces, and visible structural components. Glass, steel, aluminum, concrete, and exposed wood were all used in ways that had never been tried before. This brash experimentation reflected the exuberant optimism of post-war America. Modern meant a leap into the future — the PROMISING future. Now though, we tend to view the whole modern movement as a past style, very much tied to its time and place just like any other period style. Modern has become historic. Mid-Century Modern owes a great deal to the International Style that was developed in Europe in the 1920s and 1930s. 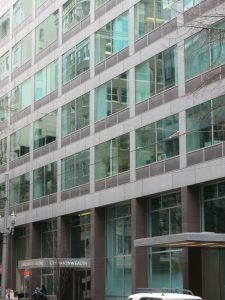 Noted architects such as Richard Nuetra, Walter Gropius, and Mies Van der Rohe fled the Nazi regime to relocate in America. Here they created many houses that reflect the lean, pared-down aesthetic of the International Style. From an entirely different direction, Japanese ideas of Zen simplicity and balance were starting to find their way into contemporary American design. 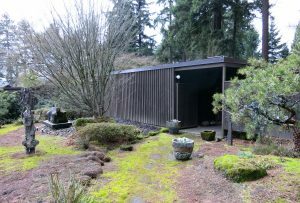 And in the Northwest well-known Portland architects Pietro Belluschi, John Yeon, and others created a regional interpretation of modern by using large expanses of glass and wood, and by orienting houses to celebrate the surrounding natural setting. Many of these “Northwest Modern” houses were built in the West Hills, especially around the Council Crest area. Modern’s use of floor-to-ceiling glass walls provided the perfect medium to enjoy the spectacular views afforded by these hillside locations. In the flatter regions of the city, a number of architects and builders were no less busy interpreting their own version of the Modern home. 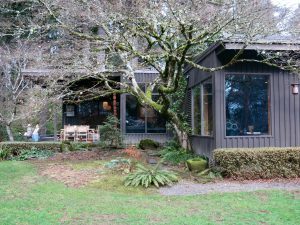 On the Eastside, builder Ken Birkemeir built many fine, well-crafted Modern homes in the 1930s, 1940s, and 1950s. He seems to have been equally comfortable building cutting-edge modern homes as well as more traditional Cape Cods, Colonials, and Ranches. Sometimes he created hybrid Modern houses by combining Modern elements with those of more conventional homes. His hallmark signature was the interesting patterns he created in brickwork designs. If you have a distinctive brick (or partial brick) home in the Laurelhurst, Alameda, Beaumont, or Concordia districts, you may well have a Birkemeir house. 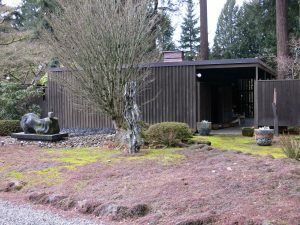 On the Westside, builder Robert Rummer built many Modern homes in the West Slope, Beaverton, Oak Hills, and Lake Oswego areas. His houses can be found by themselves or in clusters, or even entire subdivisions of Rummer-built homes. His designs were heavily influenced by contemporary interpretations of Modern occurring in California at the time. Many people who are familiar with the popular “Eichler”-built homes in the Bay Area do a double take when they see the Rummer houses in Portland. These homes are distinguished by the lavish use of plate glass and natural wood. The floor plans are open and flowing. While they mostly present a blank wall to the street, the rear of the houses opened up to the outdoors in a dramatic way. The Eichler/Rummer homes were subservient to their natural setting. They, therefore, work equally well on arid California hillsides or in the tall trees of the Northwest. 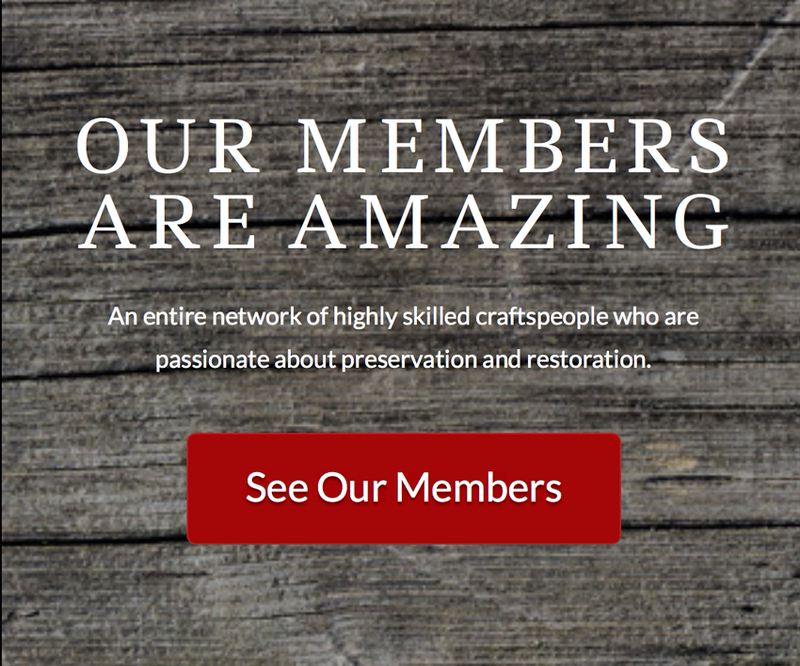 Modern restorers have so much more support in their efforts today than was available just a few years ago. 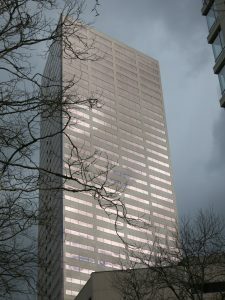 Portland has seen a number of design centers featuring Modern re-creations. Light and plumbing fixtures, tiles, cabinets, clocks, and all matter of home furnishings are all readily available today. Sometimes they go by the name of “atomic house” articles or sometimes “retro,” but they are all essentially Mid-Century Modern. And, of course, let’s not forget those original articles from the era that can still be found in the many Mid-Century antiques and collectible shops that have sprung up around the city. Architectural/building salvage yards are also good places to look. Now, don’t you wish you hadn’t thrown away that hand-me-down boomerang coffee table you used in college? Perhaps you still have it. Now is the perfect time to plan a complete Modern house around it!